Such lovely photos! That meal looks sooo delish! Nice ! Love your post! Schöne Fotos :) Wo hast du denn diese tollen Cupcake-Servietten her? I am obsessed with Yankee Candles and salmon!! and just wanted to add that your site design is sooo awesome! have a lovely week and lots of love from switzerland! 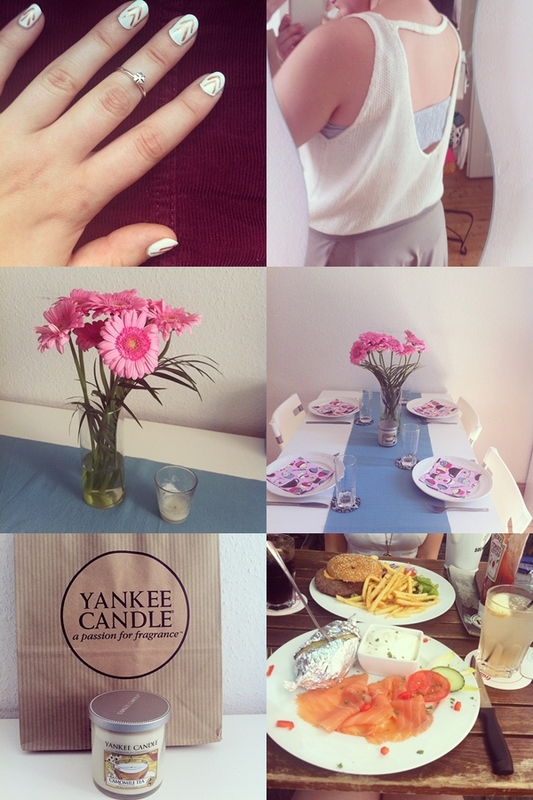 Fab photos hun, love the manicure and pretty flowers. Thanks for stopping by.. Hope you have a positive and productive week ahead! I love the pretty flowers! The image of the fries will stay in mind all day long!